I assure you I've been doing more this past week than eating dessert, but I'm still organizing my thoughts, editing pictures, and brainstorming content. 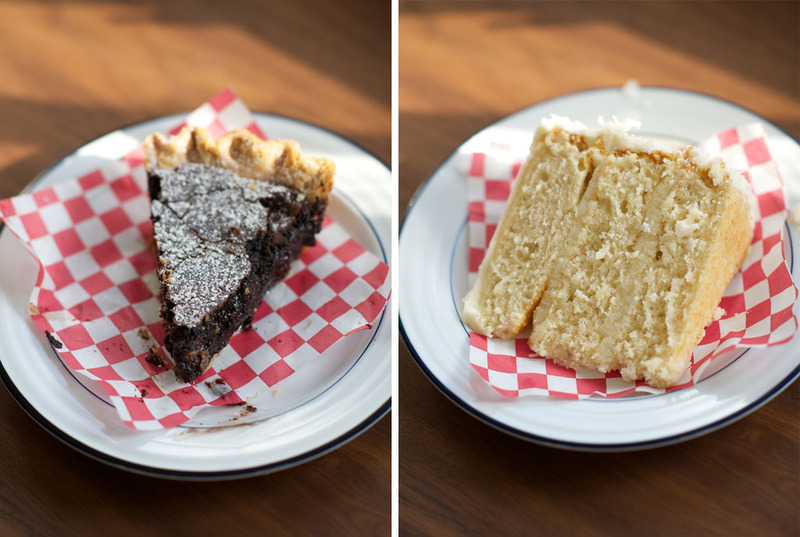 So, in the meantime, behold two of Lauretta Jean's finest desserts: one slice of their gooey chess pie, and another of their delicate coconut cake. It was a mere two minutes from my first bite to a clean plate.